Amanchu! Original Soundtrack – I was actually hyped for Amanchu!‘s soundtrack when I discovered that the music would be composed by Gontiti, the acoustic guitar duo that did an excellent job with Yokohama Kaidashi Kikou. Amanchu!‘s music proved to be pleasant, but the biggest sticking point is that it just wasn’t memorable enough. Laid-back acoustic guitar music can only take you so far, and without more compelling themes to drive it along, won’t lead to any sort of life-changing experience. Amanchu!’s Opening Theme: Million Clouds by Maaya Sakamoto – I fell in love with “Million Clouds” when I first heard this. Maaya Sakamoto’s voice is crisp and clear, with all the serenity in the initial stanzas before bursting into an infectious exuberance that speaks to the thrill of discovery and takes you all the way to the end. Definitely one of Maaya Sakamoto’s stronger works. Amanchu!’s Ending Theme: Futari Shoujo – This ending theme basically plays to the characters who sing it. In “Futari Shoujo”, we see Ai Kayano and Eri Suzuki, the two voice actresses for Teko and Pikari, respectively sing a song about friendship. Ai Kayano, who sings first, has a shy, quiet voice that matches Teko’s character while Eri Suzuki’s delivery is more extroverted, in line with what you’d expect from the outgoing PIkari. The overall tone is balmy and pleasant, but not altogether too memorable. On this album, I actually prefer the works of the group Misteria Feo, which takes Mina Kubota’s compositions into a more ethereal realm. A solid album overall though. Amanchu!, an anime that derives its story from Kozue Amano’s manga of the same name, is one of my top picks for Summer 2016’s anime releases. 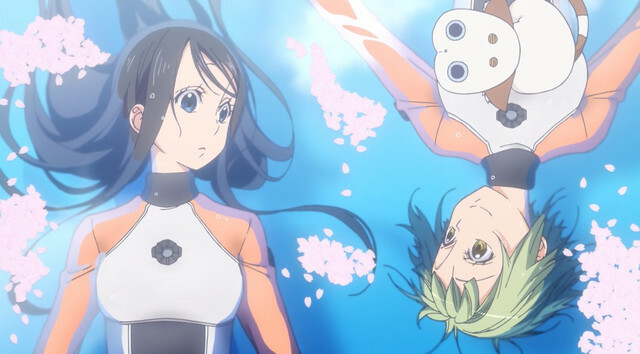 The anime, which focuses on teenagers who form a scuba diving group, possesses a gentle atmosphere that makes it a spiritual successor to the equally wonderful ARIA franchise, a work also done by Kozue Amano. And to top it off, Amanchu!‘s soundtrack will be composed and performed by GONTITI, a group also known for their gentle, laid-back melodies. I first became aware of GONTITI through their work on Yokohama Kaidasishi Kikou, and was immediately drawn into their light acoustic guitar melodies that captured the relaxing atmosphere that the anime projected. One of my favorite pieces of theirs is “Dance of the Evening Calm” which is a nice and light Spanish-flavored piece from YKK and showcases the type of sound you’re in for when you watch Amanchu! GONTITI, the duo made up of Masahiko “Gonzalez” Mikami and Masahide “Titi” Matsumura, have since gone on to work on other another anime OVA in TO-Y. Beyond that, their involvement with anime is still pretty sparse. Still, I’m excited to see what comes out of Amanchu!’s soundtrack. Already, the early signs look favorable with the promo video that was released a few days ago. GONTITI’s acoustic guitar work is just a little more alive, a little more serene, and all that comes together to make the whole presentation just a bit more special. To see what I mean, I’ve embedded Amanchu!’s PV below. You can expect the anime to be released sometime in July.